Officials from the Atlantic States Marine Commission decided Thursday to cancel the Gulf of Maine shrimp season for the fourth year in a row. Recent stock reports of the fishery suggest that the northern shrimp population in the gulf is the lowest on record. For the fourth year in a row, interstate fisheries regulators have decided against allowing commercial shrimp fishing this winter in the Gulf of Maine. The decision, made Thursday by the Atlantic States Marine Fisheries Commission at its meeting in Portsmouth, New Hampshire, is in response to estimates that indicate the northern shrimp population in the gulf are the lowest on record. Rising ocean temperatures are believed to be responsible, the commission wrote in a prepared statement, released Thursday. Regulators set aside a 53 metric-ton research sampling limit that will allow scientists and commission officials to keep track of what kind of changes may be happening in the gulf’s shrimp population, according to commission officials. 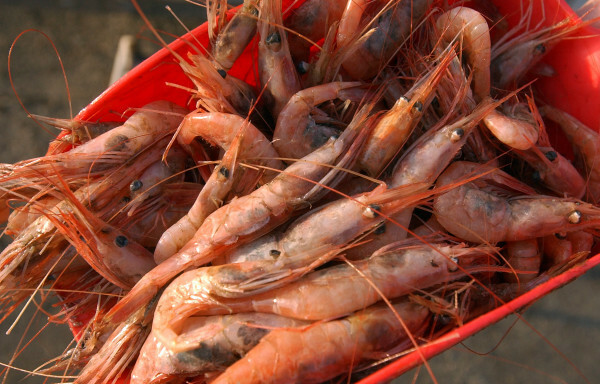 The purpose of the catch is for research but, as in recent years, participating fishermen in the research program will be allowed to sell the shrimp they catch. The research catch limit of 53 metric tons, or about 117,000 pounds, is an increase of about 68,000 pounds from the research catch limit set by regulators last year. The 117,000-pound research catch limit is less than 1 percent of the approximately 13 million pounds of shrimp that fishermen from Maine, Massachusetts and New Hampshire caught in each of the 2010 and 2011 seasons. The commission “sought to strike a balance between providing limited fishing opportunities to the industry while collecting valuable data to allow for the continued monitoring of the northern shrimp resource,” Dennis Abbott of New Hampshire, chairman of the commission’s shrimp section, said in the news release. In 2012, because fishermen exceeded catch quotas in each of the prior two years, regulators reduced the total seasonal catch limit to 4.9 million pounds, but that limit also was overrun, by as much as 1 million pounds, officials have said. For the 2013 season, the total allowable catch was cut by more than two-thirds, from 4.9 million pounds to 1.37 million pounds. The gulf’s population was in such steep decline by then, however, that fishermen from the three participating states caught just shy of 677,000 pounds that winter. The fishery was closed the following winter, and it has yet to be reopened.